The 'Original Dixons' our Blackburn store recently relocated to a brand new warehouse premises making it the largest of all our stores. The store has a legendary reputation with collectors as a continual source of rare and hard to get items, dating back to its inception in 1976. 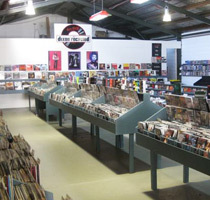 Although Blackburn's stock covers all music genres, the store is especially well known for being a great place to find Hard Rock and Heavy Metal CDs and LPs.